Mint Vine (Branded Surveys) is a brand new and completely unique market research site. You will get 200 points ($2) just for registering. For completing all the profile surveys including the bonus ones you will get an additional 510 points ($5.10) added straight into your account. Payments are sent within 24 hours via Paypal. Mint Vine (now known as Branded Surveys) is a brand new and completely unique market research site. The website not only offers you the chance to take surveys to earn money but also by participating in polls, offers, referring friends and taking part in their brand new Mint Roll surveys. The Mint Roll surveys are different to the standard surveys that you receive on other survey sites as they are based on your behavior as well as your opinions. The information that is collected is later analyzed to help them better understand the trends that will make companies make better marketing decisions in different industries. The good thing about Mint Roll is that you get more paid surveys. There is usually 3 sent out per week on a Monday, Wednesday and Friday, each takes just 7 and a half minutes to complete and you are rewarded with $2 (£1.25) for each. To get started on Mint Vine simply fill in the short registration form and confirm your email address to fully activate your account. You will get 200 points ($2) just for registering. After this login to your account and fill in the profile surveys. 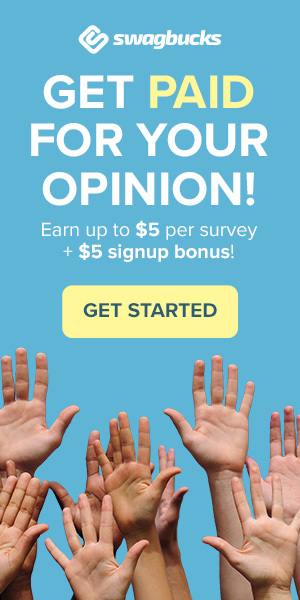 For completing all the profile surveys including the bonus ones you will get an additional 510 points ($5.10) added straight into your account. You can also complete any polls that are available to earn an additional 5 points each. In total after completing the registration, the profilers and the polls you can easily have earned up to as much as 700 points ($7) or more. You can also earn additional points by completing offers directly through the ‘offers’ tab on the site. Once you have completed a survey or offer it will show as pending in your account. There will then be a 2 week hold period before your points are approved. You can login to your account at any time to check the date of when your points will be fully approved. Every 100 points is the equivalent of $1 (60p) in cash. Once you have accumulated just 1000 points you can cash out for $10. This will be processed and your cash will be sent out within an extremely quick 24 hours to your Paypal account. To earn extra points you can also refer your friends through the MVP referral program. For each friend that you refer through the program, you will earn 15% of whatever that friend earns through their surveys and offers. On top of this you also get an extra bonus 50 points when they take their first survey. In our opinion, we would say that Mint Vine is a very promising up and coming survey panel. We like the extra features they offer in comparison to some of the older and more boring panels. There is loads of different opportunities for you to earn money on the site including Mint Roll, the Polls and extra offers. The low minimum payment of just $10 means that you could easily be cashing out your first payment within as little as a couple of weeks. We highly recommend this site. What do you think, tell us below. Mintvine is definately one of the best and most reliable survey sites i’ve ever dealt with. I’ve now been paid over 5 times from them for taking surveys and referrals. Once you request a payment its usually sent within a couple of days. The one time I did have a problem (waited a week) i emailed them and payment was sent within 24 hours. Keep up the good work Mintvine! definitely i know its a good site. Mintvine is definately one of the best! I get loads of surveys, pretty much one a day if not more and get paid within days by paypal which is good. A quality survey site definately worth 5 stars! This site is legit. I’ve already received a $10 Amazon Gift Code. The only downside is waiting 2 weeks for surveys to approve, then waiting an additional 48 hours for the prize to approve. If you are not in a rush to receive payment, then this is a decent site. I agree with previous comments, Mintvine is a really good survey site. Since joining a couple of months ago ive already had 3 $10 payments to my Paypal account. Yes you do have to wait a couple of weeks for the completed surveys to clear but after that i’ve been paid within 24 – 48 hours which is good. Mintvine has lots of surveys and they pay within a few days. A good site overall. One of the best sites for earning some extra cash. Keep doing surveys and the two week waiting time is less of an issue. Cash out at 20 or even 30 dollars and it makes a meaningful amount via paypal. I am doing surveys that say they will pay me 100 points and then it says I only get 6 points? I’ve done about 10 and have only received 6 points Everytime what is up? Are they in your ‘pending’ points in your account summary? If not maybe you should contact Mintvine’s support.